doha • The Pearl-Qatar, the multi-billion dollar offshore island and one of the largest real estate developments in Qatar yesterday announced that Four Seasons Hotels and Resorts would open a new Doha-based property at The Pearl-Qatar. The 450-room luxury hotel will offer up-market, exquisite suites and dining experiences, complementing the splendour and magnificence of The Pearl-Qatar island. “We are tremendously thrilled to welcome Four Seasons Hotels and Resorts to The Pearl-Qatar,” said Khalil Sholy, Managing Director of United Development Company (UDC), owner and developer of The Pearl-Qatar. “As one of the most luxurious and prestigious developments in the Middle East, the Pearl-Qatar is attracting some of the world’s leading brands to our island and this is reflected in our partnership with Four Seasons,” he added. 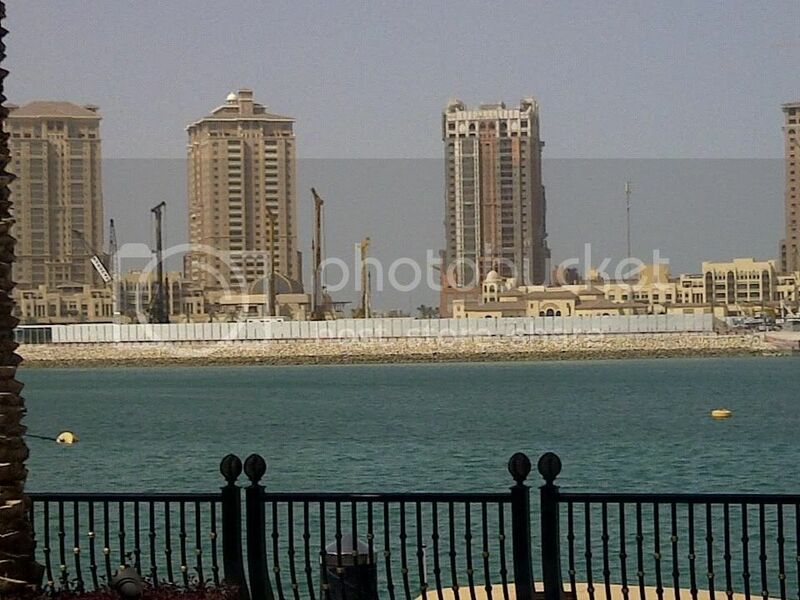 The new Four Seasons Hotel at The Pearl-Qatar will be located within the Porto Arabia district of the island. The hotel will be situated on Marsa Arabia, a 72,000 square metres Island nestled inside Porto Arabia. “We are delighted to be working with Four Seasons to create a second resort hotel in Doha,” said a spokesperson with Advanced Tourism Investment Company, owner of the new resort as well as the existing Four Seasons Hotel Doha, which opened in 2005. The addition of its second property at The Pearl-Qatar makes Qatar one of the few countries in the world to be home to multiple Four Seasons hotels. “The Middle East is a strategic growth area for Four Seasons because of the high need for luxury accommodations to host business travelers from within the region and around the world, and offer leisure travel options,” said Antoine Corinthios, president, Hotel Operations, Europe, Middle East and Africa for Four Seasons Hotels and Resorts. “Today’s announcement is only the beginning of many more major partnerships to be revealed in the coming months,” said Sholy. “The entire island will be home to over two million square feet of retail and commercial facilities, making The Pearl Qatar a leading shopping and entertainment destination. We look forward to announcing other major groups joining us at The Pearl-Qatar very soon,” he added. Last edited by Halawala; October 29th, 2006 at 07:37 AM. I heard this on CNBC yesterday and was just going to post it! I know it's not the final design, but gives a good enough heavenly impression of it! When is it going to be under construction!! Last edited by Greg; May 27th, 2007 at 10:27 AM. 2 Four Seasons, 2 Ritz Carlton, 2 Moevenpick, not bad for a small city! i did not know that was a ritz !!! DOHA: The Four Seasons Hotel has announced it will start constructing its second hotel in Doha at The Pearl-Qatar’s Masa Arabia island in the middle of the year. “We expect that by the middle of this year, construction will be under way and in progress for our second Four Seasons Hotel here in Doha. It is going to be a 300-bedroom hotel, probably with four or five restaurants, and fairly significant banquet and conference space, a spa and recreation facilities… All this set in a unique island environment,” said Simon P Casson (pictured), General Manager, Four Seasons. Casson, who has been in Doha for five years, said the building’s blueprint shows the hotel has six levels, but he said this is subject to change because they are still finalising the design. “We want to make use of our fairly large footprint and make the hotel a bit spread out in all directions in the island and make use of all the beautiful views there,” said Casson. The new hotel will be built on the 75,000-square metre island, which will be used exclusively by the Four Seasons. “We will be building a palatial building and use the rest of the space for a garden and do some landscaping. The building is in its final design phase,” said Casson, who moved from his position as hotel manager at the Four Seasons in London to Doha along with his wife and three children. Casson said the Four Seasons contracted the WATG Company for the construction of the building. WATG is one of the world’s leading design consultants for the hospitality, leisure and entertainment industries. Having worked in 157 countries and territories across six continents, WATG has designed more great hotels and resorts than any other firm across the globe. Many of the company’s projects have become international landmarks. According to Casson, who started his career with the Four Seasons in 1989, the downturn in the global economy has not really affected their business and will not affect the planned construction. “Our business did very well in 2008 and exceeded our expectations… The global economic crisis won’t really be a big problem for us. I think the main reason why we are very confident is that we picked our Doha partners very carefully and we have a long-term partnership. Our relationship with our partners is going well. In addition to that, The Four Seasons Hotel has been in this business for 60 years, operating luxury hotels, and in that 60 years we’ve seen many cycles, and in those cycles we still saw our company leading because our senior officials are doing their jobs well,” he said.